Paris in December is much like London in December, only colder and greyer. This was my thought as I stumbled around the roads (I’d say streets, but it just seemed like one giant car-filled road), partially frozen because I’d absolutely mis-judged the weather. What follows will be a black and white montage. I didn’t have to use any software to make the images black and white, it was really just that grey. 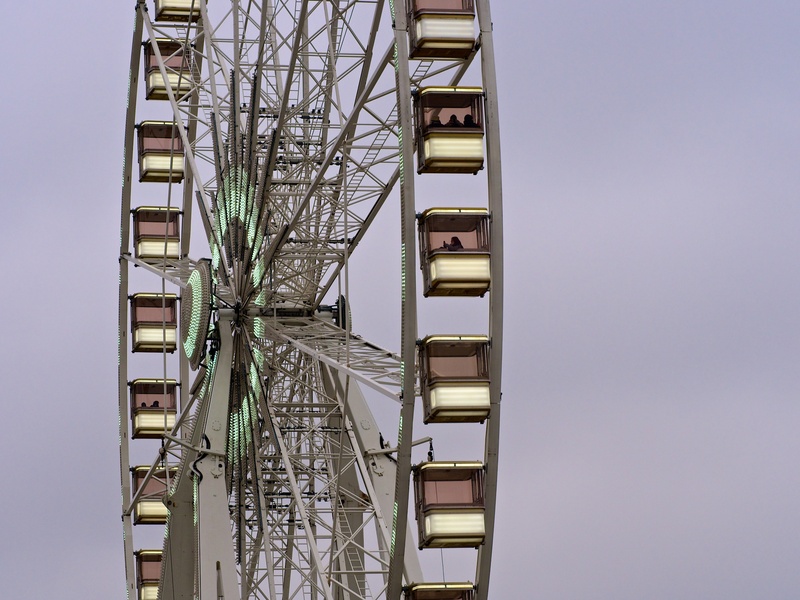 Saying that, because I like to contradict myself, this is the Roue de Paris, which had some colour. I’m off to buy gloves.